He's having a jolly old time on our Christmas tree! 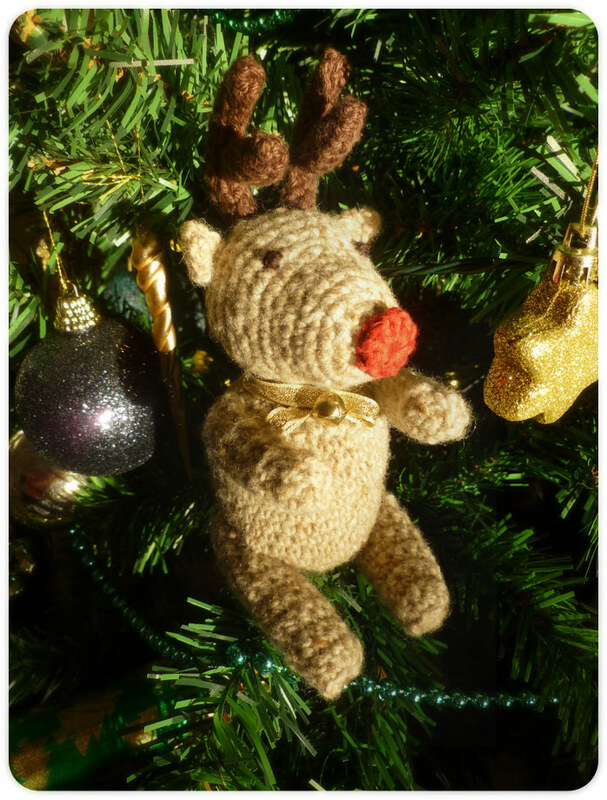 I made him using rowan tweed and the pattern in Mini Christmas Crochet. Oh he's so cute!! Was he easy to make? I've got the same book and he was on my Christmas to do list too, but I never quite got there. Thanks! Making all the bits of him was easy, but it was a little tricky sewing him together - his legs kept moving about!